Wine and oil are the product of an intimate pact between earth and mankind. An encounter that tells the story of civilization. In the middle of the countryside between Siena and Grosseto, a hill facing Val d’Orcia and breathing the Amiata mount’s fresh winds, gives hospitality tot o a precious gem: Terra Dragona. 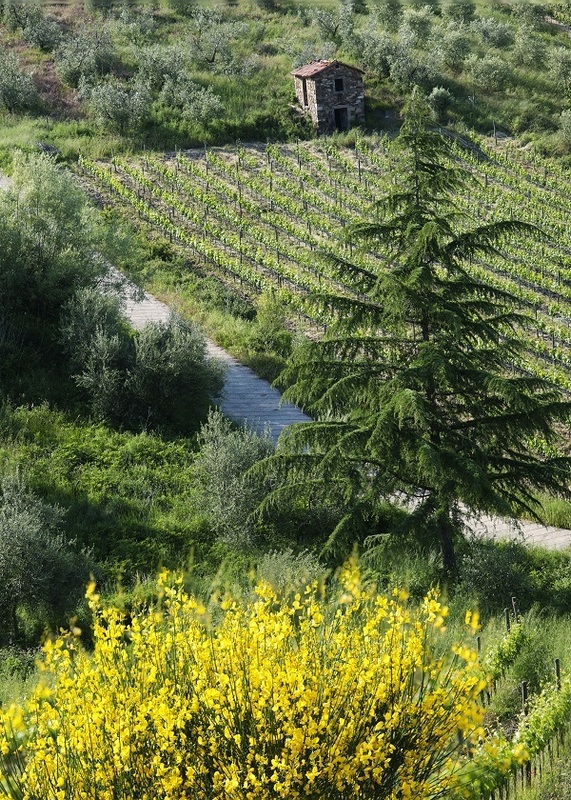 1,5 hectares of reach and productive soil, farmed with the care and affection characterizing this sunny niche of Tuscany. In a land that profits from the influences of marine winds and wide temperature ranges of the vintage timing, grapevines grants power and softness at the same time, living birth to high quality wines. The winemaking philosophy of this region is focused on the working on pure Sangiovese, to produce a pleasant and easygoing wine, allowing the peculiar characteristics of the land where it grows to emerge since the first taste. The entire parcel is made up of two main vineyards: the ancient Vineyard, produces 80-90 quintals of Sangiovese grapevine. It is treated on our winery and gives birth exclusively to Montecucco Docg e Doc: red wine with ruby color tones and fruity bouquet with sweet spice nuances, tannic and fresh to the mouth. The implantation was started in 2002 with Sangiovese plants. Today it is enriched by a new born Vineyard of white grapevine, implanted in April 2011.Since it was born thanks to the help and collaboration of many friends, this vineyard has been named Vigna Filìa (from Greek “filos”, friend). In 2014 we could already taste the wine produced by this young Vineyard. Today, even if the production is limited (as for all precious things), it is bottled and available for sale at Casa Dragona.